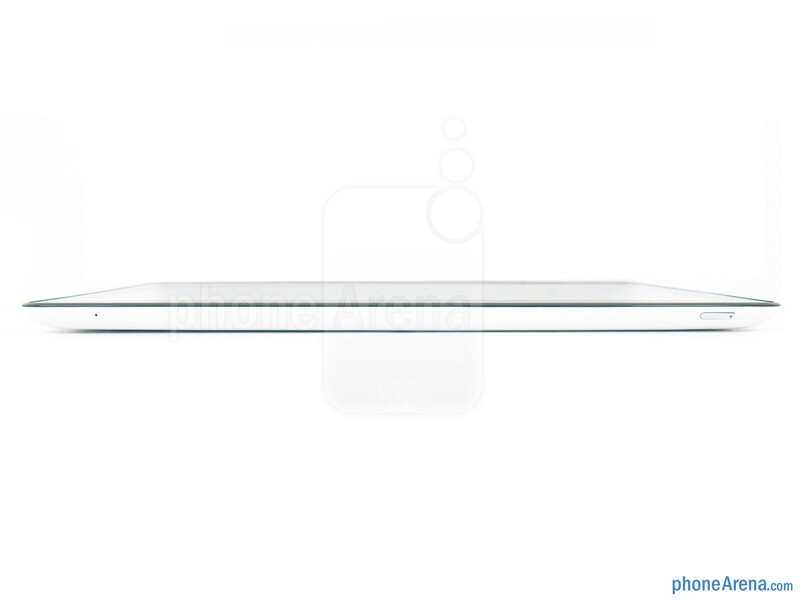 Until recently, when you thought about looking for a tablet, it was pretty much a decision between iPad and Android. 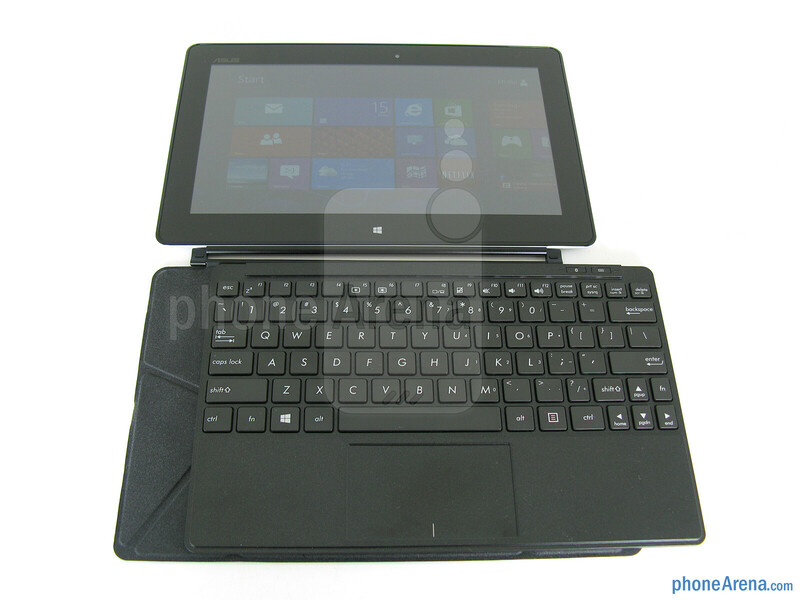 Now with Windows 8 and Windows RT, we’ve seen a number of new tablets on the market over the past couple of months. 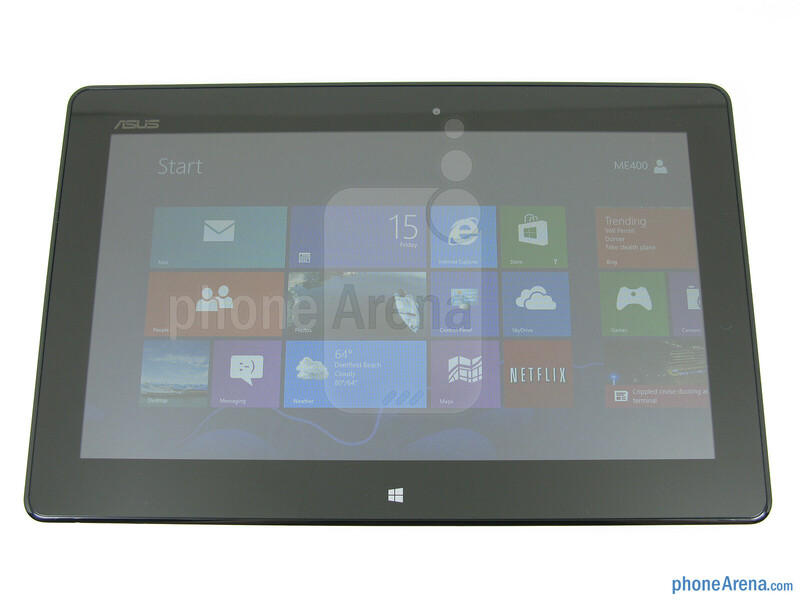 Another option is the new VivoTab Smart from Asus, which runs the full Windows 8 operating system. This gives it great functionality and compatibility, such as being able to run regular Windows programs. 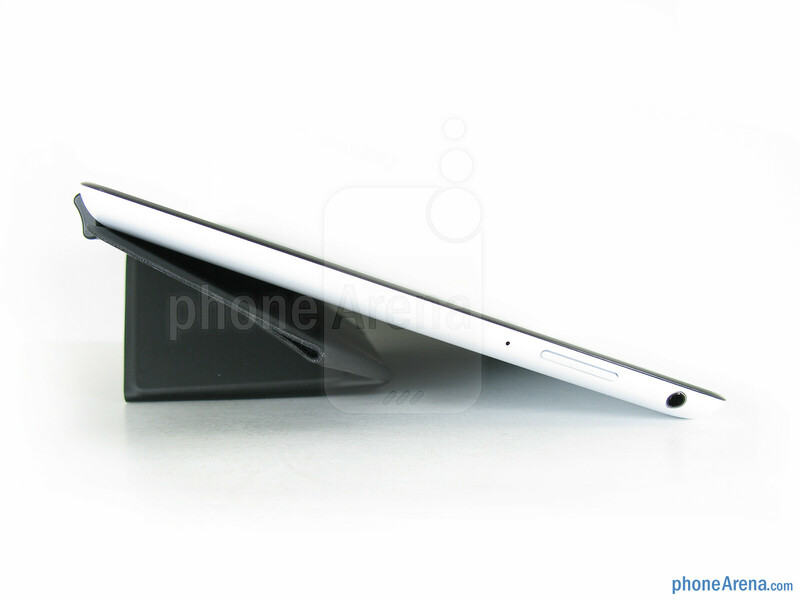 Let’s take a look and see how this tablet stacks up. Included in the retail package is the Asus VivoTab Smart (model ME400), wall charger with detachable microUSB cable, user guides, and cleaning cloth. It is not surprising, but the overall design and appearance of the Asus VivoTab Smart is reminiscent of the VivoTab RT that we looked at a couple months ago. 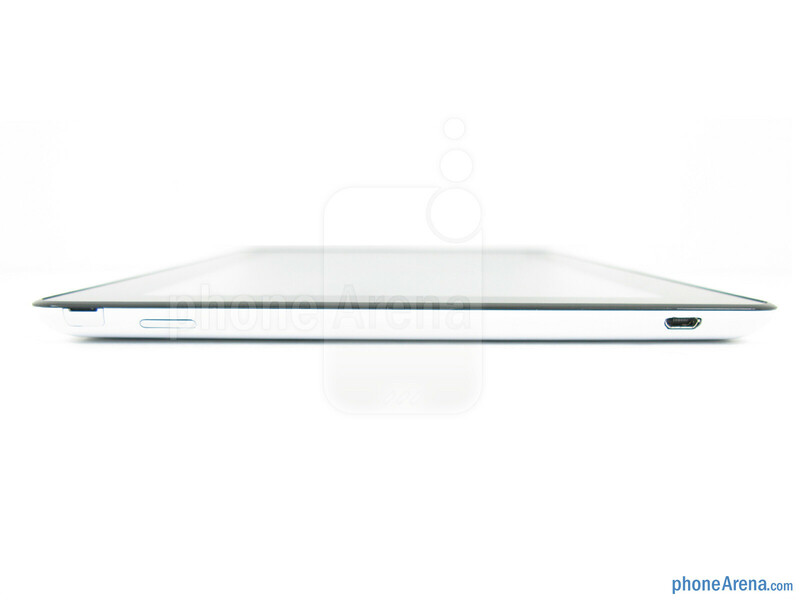 It remains relatively compact for a tablet (10.4”3 x 6.73” x 0.38”) and is easy to carry around at only 20.46 oz (560g). This time around, the VivoTab Smart has a white backing instead of the brushed metal on the VivoTab RT, but the front is still uncluttered by the display, 2MP front facing camera, and capacitive Windows home key. 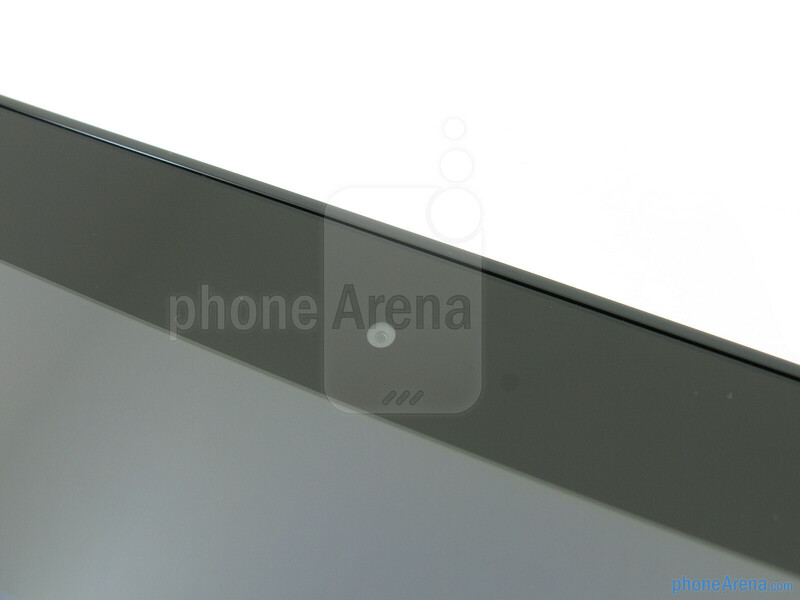 Along on the left edge is the microUSB port, and the hidden microSD memory card slot and covered microHDMI video port. Up on top is the raised power button, while on the right edge is the large volume rocker and 3.5mm headset jack. 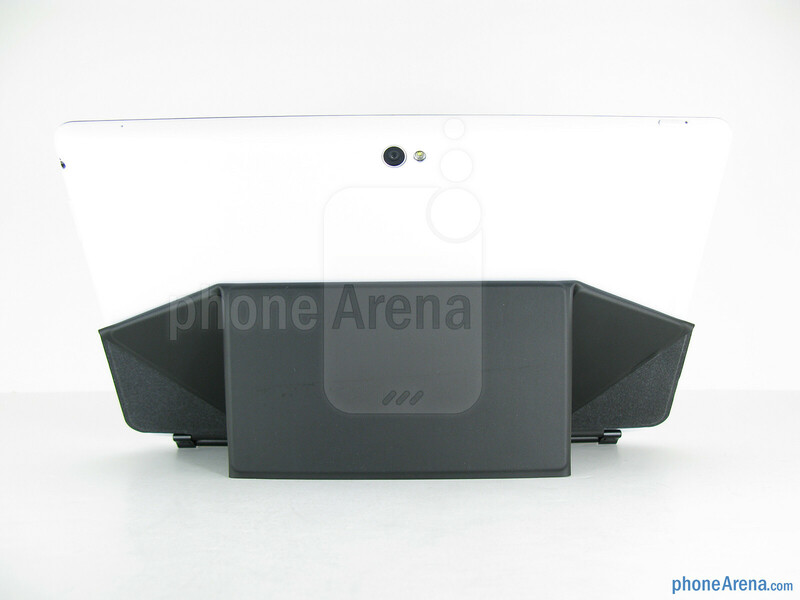 Around on the back is the 8MP auto-focus camera with LED flash, which can also record 1080p video, as well as a small external speaker hidden behind a group of small microdots. 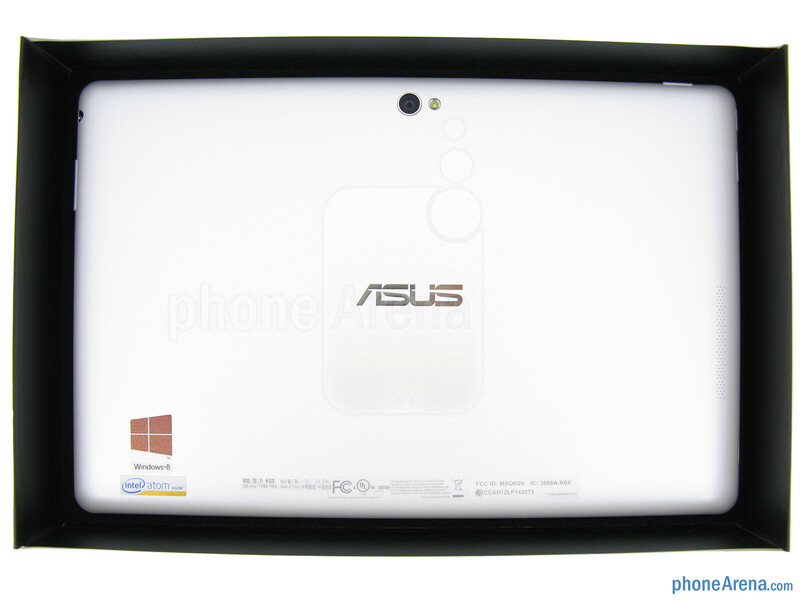 When we reviewed the Asus VivoTab RT, we were impressed by its display, since it was using a 10.1” Super IPS+ LCD panel. However, the Asus VivoTab Smart is using a standard 10.1” IPS LCD panel, which means it’s not quite as bright, viewing angles are more limited, and colors aren’t as saturated. Be that as it may, we found the display still bright enough for most conditions (except when viewed in direct sunlight). 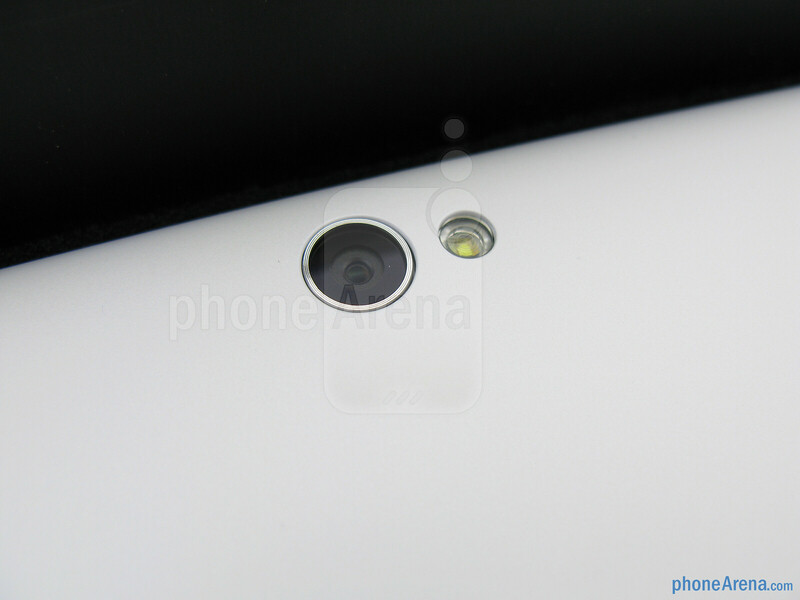 The screen resolution is WXGA 1366x768, which equals a pixel density of only 155ppi. Because of this, details aren’t quite as sharp as we would like, such as on the1080p HD display used by the Microsoft Surface Pro, but it is still tolerable when the tablet is at least 12 inches away from your face. 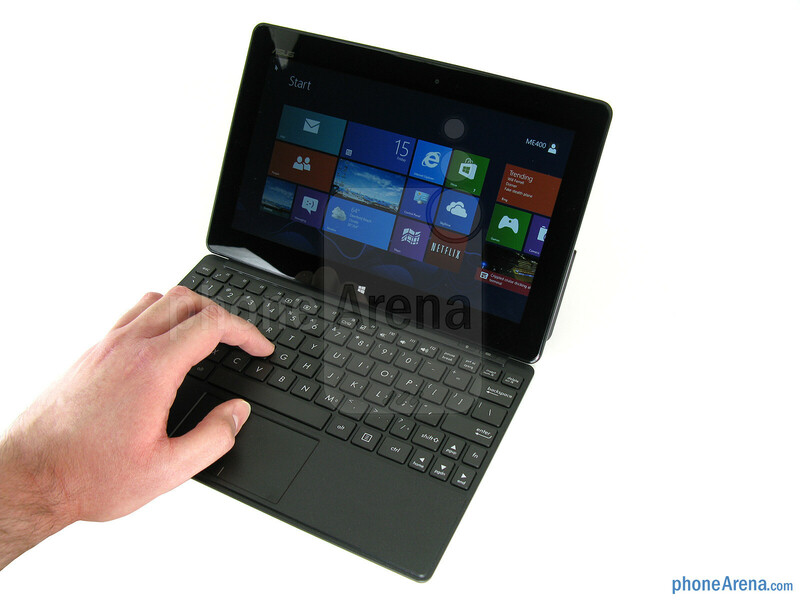 One of the must-have accessories for the Asus VivoTab Smart is the TranSleeve Keyboard. 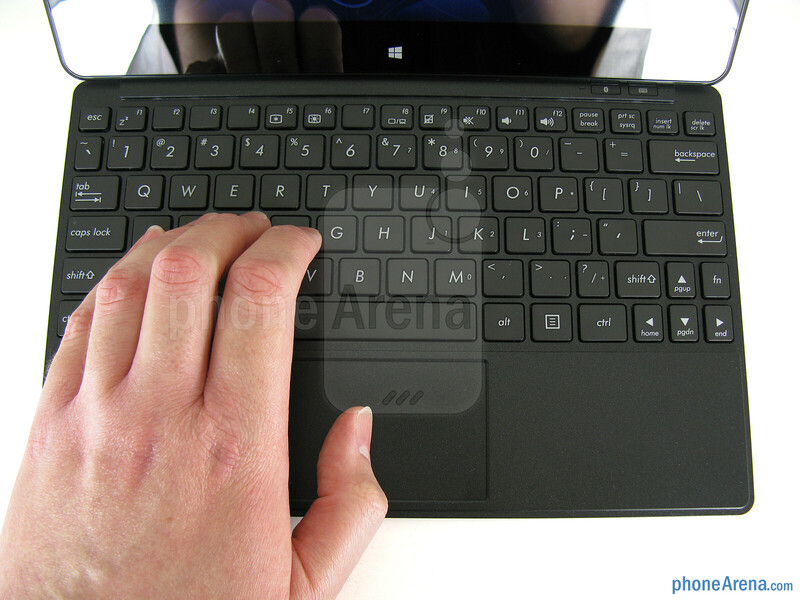 The sleeve is magnetic and can “grab” onto the bottom edge of the tablet, while the larger area of the sleeve grabs the keyboard. This allows for almost a laptop-type experience. But if you want to have the tablet stand on its own, you then have to take the keyboard off the sleeve and fold the sleeve behind the tablet to prop it up. Then you can just rest the keyboard on your desk or lap. 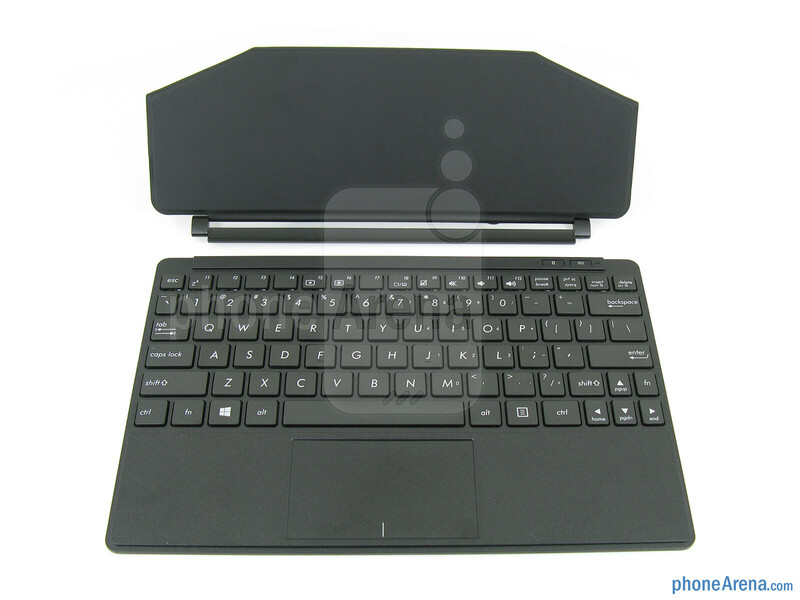 The Bluetooth keyboard is 10.25” wide, which should provide enough room for even large hands. We had no issue typing on it, and we like that it uses real physical keys that have a nice response to them, and even provide a traditional “click” sound when pressed. The trackpad at the bottom also works well, showing an on-screen mouse pointer, and there is also a left and right mouse-type buttons on the bottom. 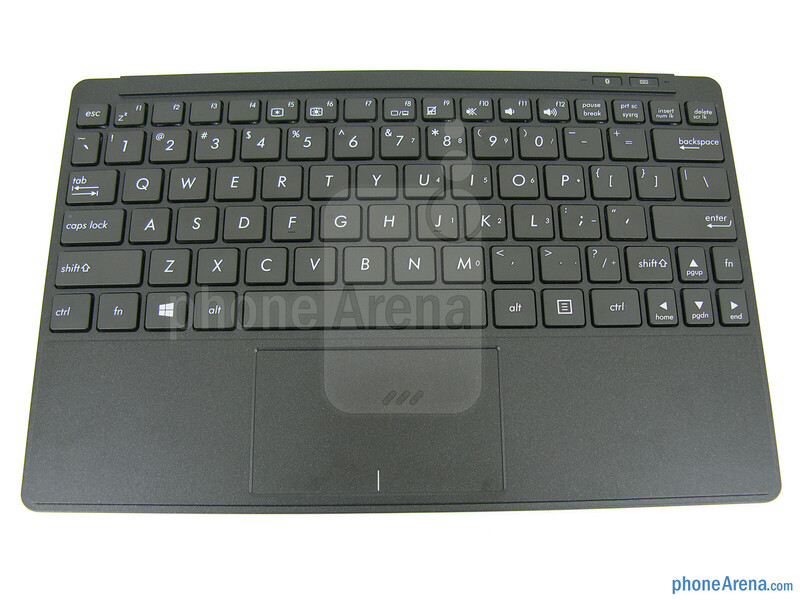 Since the keyboard is separate from the tablet and is connected via Bluetooth, youalso have to charge the keyboard via the microUSB port on its side. Just keep in mind that the TranSleeve Keyboard is an optional accessory that you have to purchase, and does add 445g to the weight. 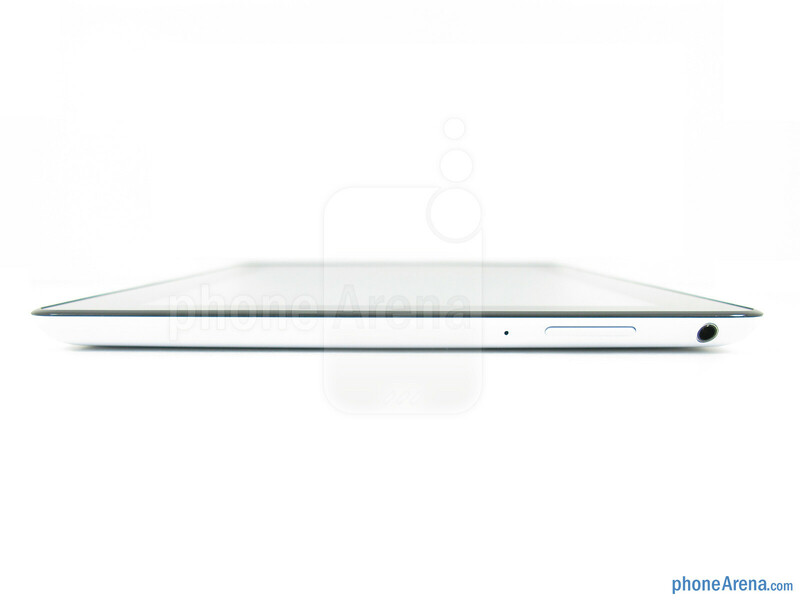 For $500 this is a great competitor for the ipad or top of the line android tab. Its priced right, the camera is decent, storage is about the same as other similarly priced tablets, and it runs full windows 8. Damn good deal. Oh and the battery is awesome. The only real downsides are the display res, which is still on par with some tablets, and the Intel atom chip. 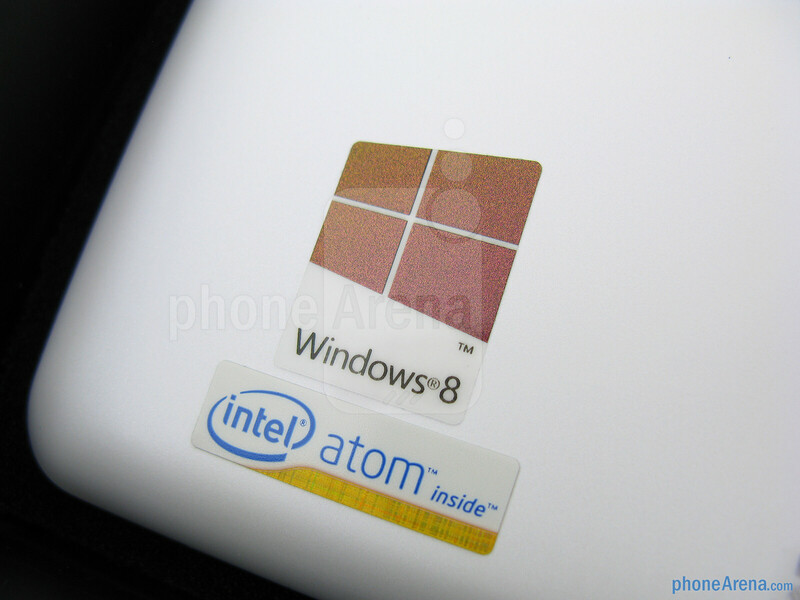 This is exactly what the atom was made for-lightweight, low power PC- and the atom in it does have a beefy speed when compared to arm processors, but limited full windows is a sacrifice. I was considering this tablet. I have to put my blinder on though. 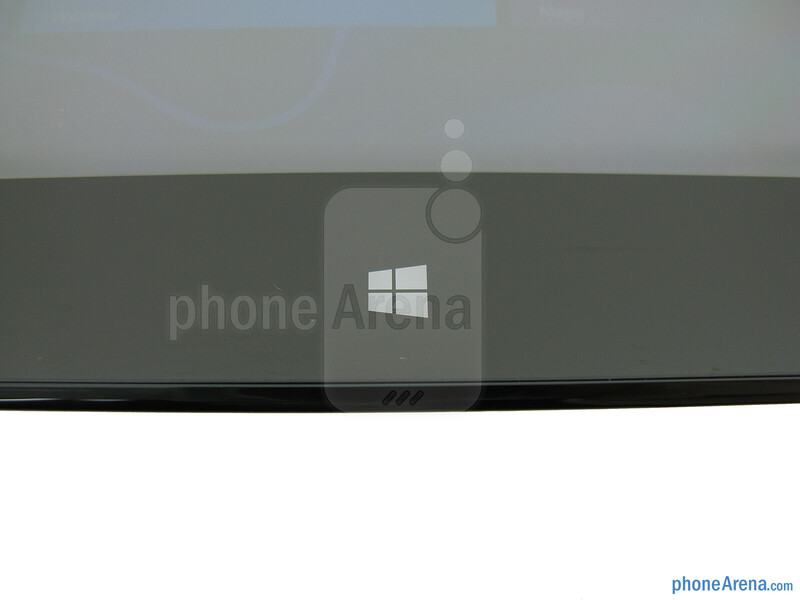 I was hoping Nokia would announce something at MWC. I really want a 7"-8" tablet running RT at a great price. If they can get Win8 Pro in that form factor at a reasonable price I'd take that as well. I had wanted to pick up the Microsoft Surface Pro.. after reading several reviews, after reading technical specs... after "hands on" at the various stores... 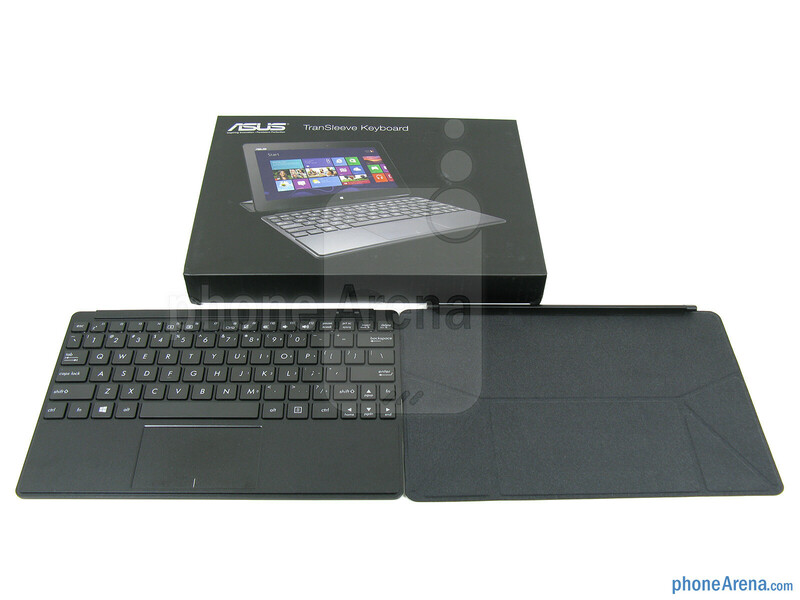 I selected this Asus VivoTab Smart MC-400C.. I got it home and began opening it up and turning it on for the first time... I know it is only a 1.5 processor with bursts to 1.8.. 2 gigs of onboard memory, 64 gigs storage and operating system but It came to life so quickly.. I proceeded to update, it had two Asus updates and some 30 win 8 updates and that did take some time to finish up.. I then decided to upgrade win 8 to pro.. after adding what software I needed onboard and cleaning up.. my remaining storage space is still greater then half of the onboard 64 gigs.. I mapped my network drives and installed my printers and scanners... picked up a Microsoft Wedge bluetooth keyboard and mouse... The Asus VivoTab Smart worked right out of the box, and it hasn't skipped a beat... this one tool... has brought all my computing power to the most fluid level, I feel, it has ever been... via many different methods, web, WiFi, Bluetooth and NFC, I can and do connect an get data or equipment to perform in a seamless fashion.. 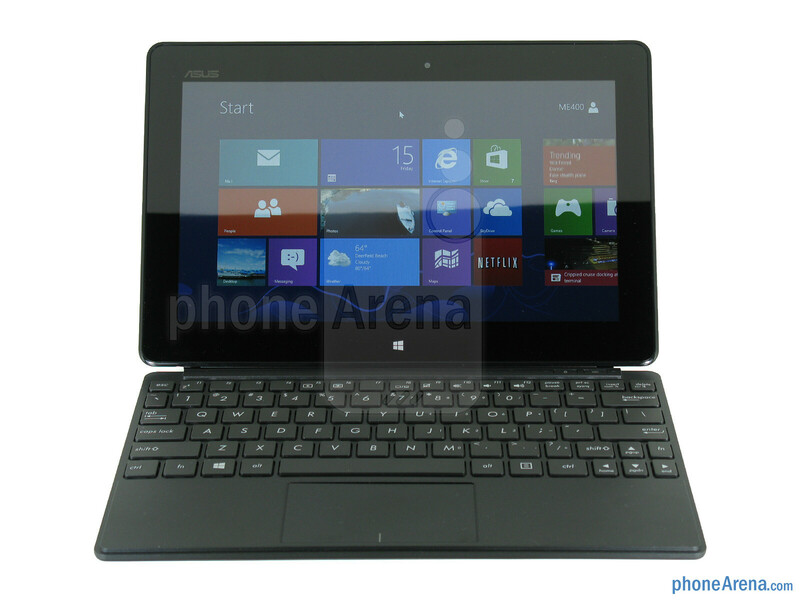 The Asus VIvoTab Smart is a successful, powerful and comfortable addition to any computing household..